i am new to the world of pumpkin patches and carving pumpkins. to this day i have never actually carved one, but rather stood next to boyfriend as he did with the boys. last years he roasted the seeds and i basically thought he was the next Wolfgang Puck. yes, i have lived a sheltered life. apparently we chose the hottest weekend to take the kiddos to the pumpkin patch. i think were were there max 20 minutes. 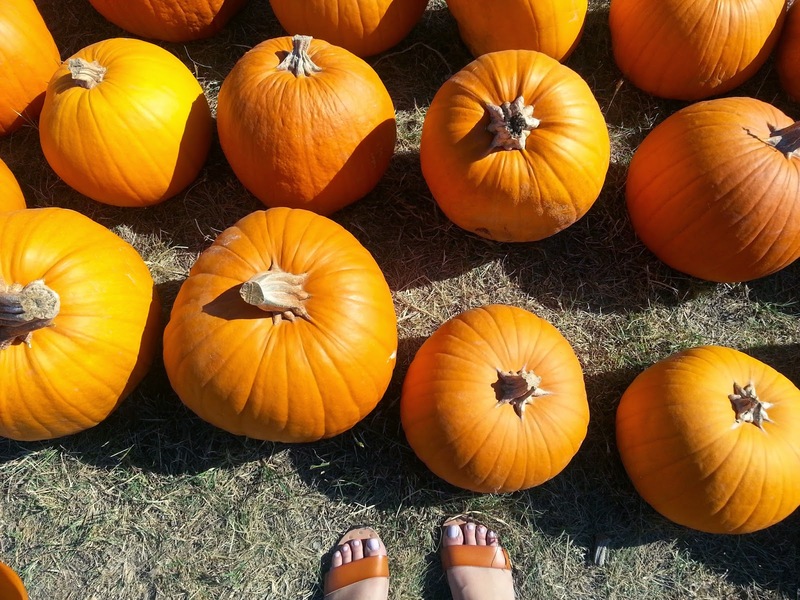 but it was still cute to see the kids get really excited over selecting their pumpkins. 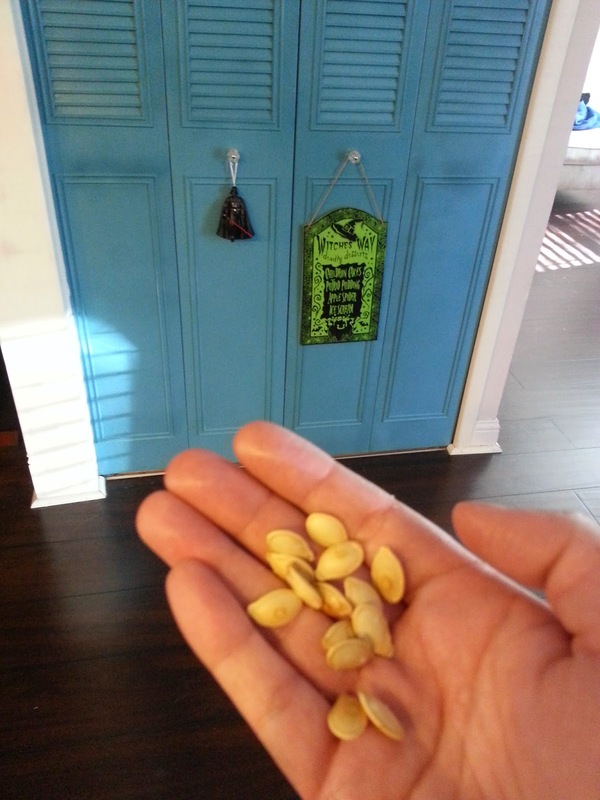 we purchased only baby pumpkins and one slightly larger so the boys could paint them and we could make a few roasted seeds. so see below the super simple instructions and enjoy! 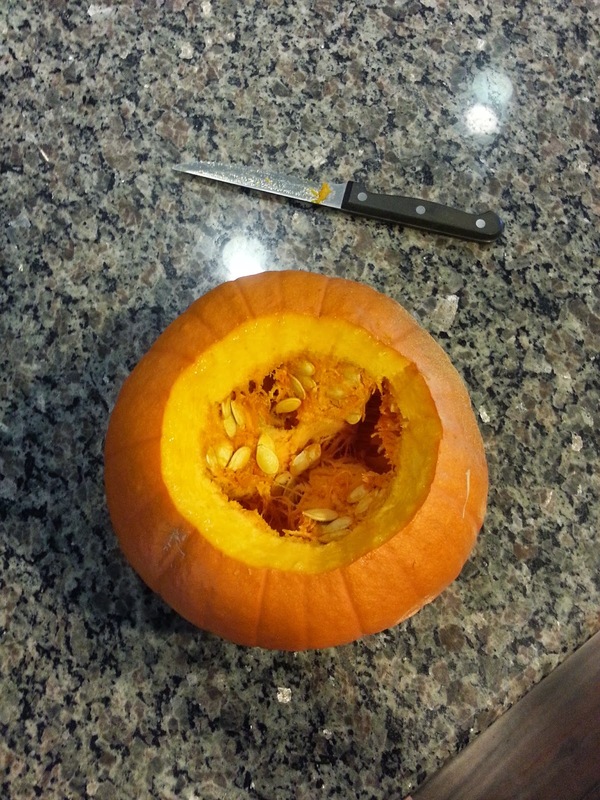 here we have a steak knife doubling as a carving knife. take out all of the gooey guts and seeds and rinse in a colander. discard the guts. 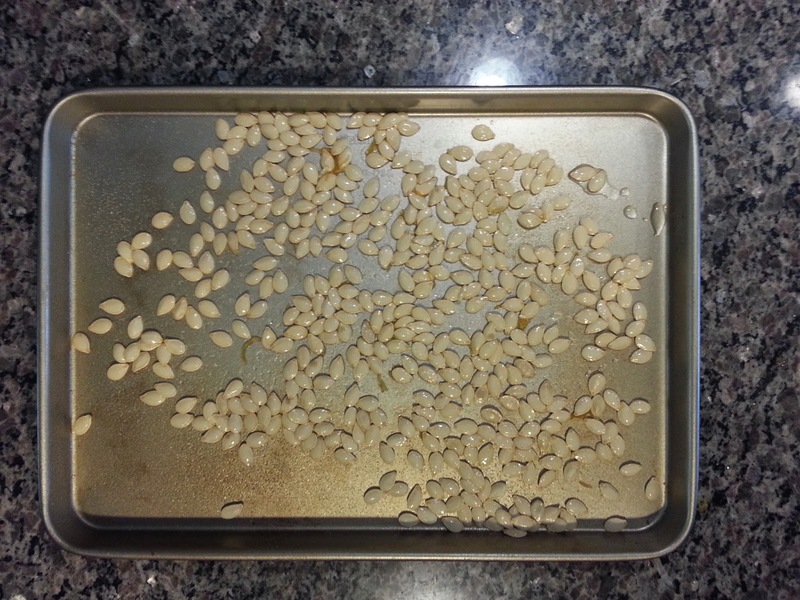 spray a baking sheet with some olive oil and lay your seeds flat. sprinkle with some salt. set your oven to 350 degrees and pop these in. it took about 15 minutes for them to be ready but just kind of watch them since all ovens are different. here is the finished product. they turn slightly darker and are so good! and yes that is a Darth Vader ornament on our closet doors as part of our Halloween decorations. what fun recipe's are you whipping up this fall?